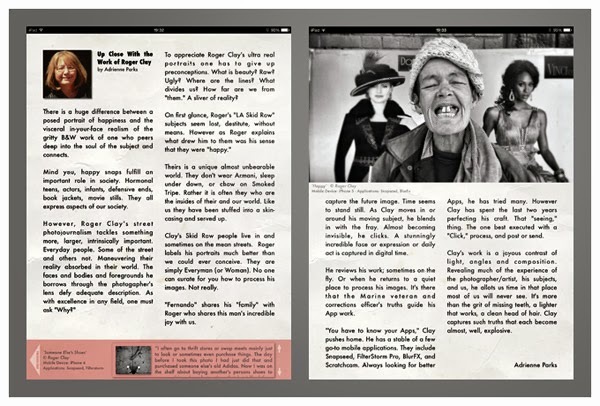 When Rosanna Cappiello and Mark Allan Smith released the inaugural issue MOB Fiction Magazine in June of last year, there we many attempts to publish a follow-up issue, and as with any new venture, there are growing pains and these regrettably these caused several delays. Because of my relationship with MOB Fiction Magazine as a contributing writer, I knew of their intentions to make the issue not only better then the first, Mark wanted to improve the overall design appearance but also how the magazine interacts with the end user. This alone was a challenge, but after months of trial and error, success at last. 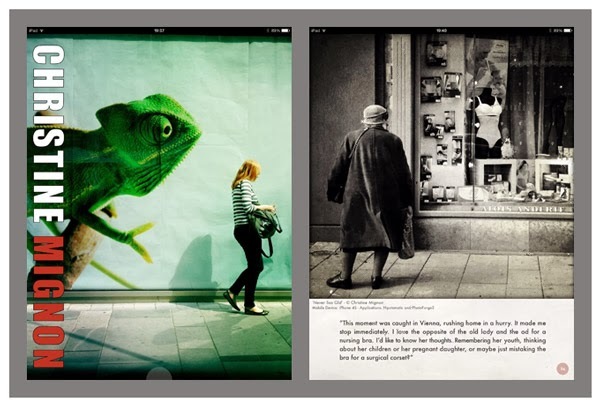 Each issue of MOB Fiction Magazine will focus on a particular theme and with this release, it is an iPhoneographer favorite subject matter, street photography. 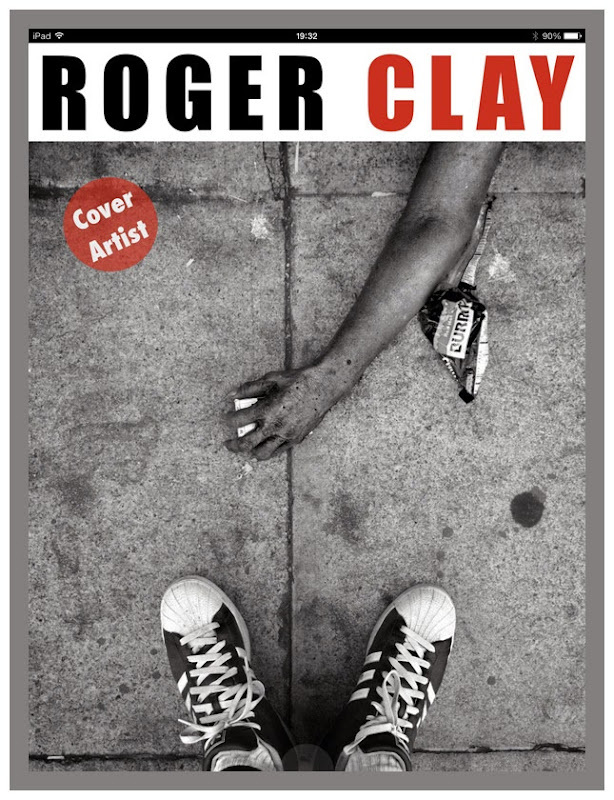 Featuring Roger Clay, who has achieved cult status for his style in-your-face of photography along with a wonderful interview of him by Los Angeles photographer Adrienne Parks. The one hundred and seventeen page issue is not only filled with some incredible images, but there is also plenty to read and really get to know the person behind their photographs. 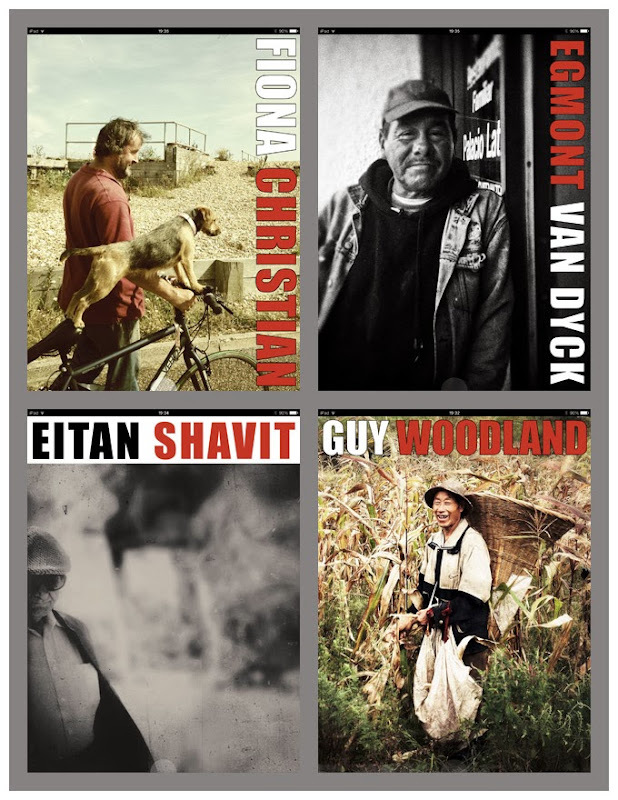 Individuals from various parts of the globe, bringing their unique style to your attention, like Guy Woodland, Fiona Christian and Eitan Shavit of Israel, along with Christine Mignon, Rob Pearson Wright and several others. 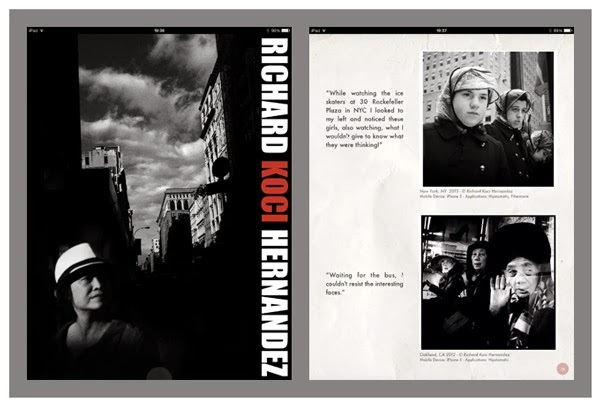 There is also another extensive feature by Adrienne Park, were she interviews Emmy award winning, San Jose Mercury News photojournalist, Richard Koci Hernandez, who recently published ‘Downtown’ with Out of the Phone. 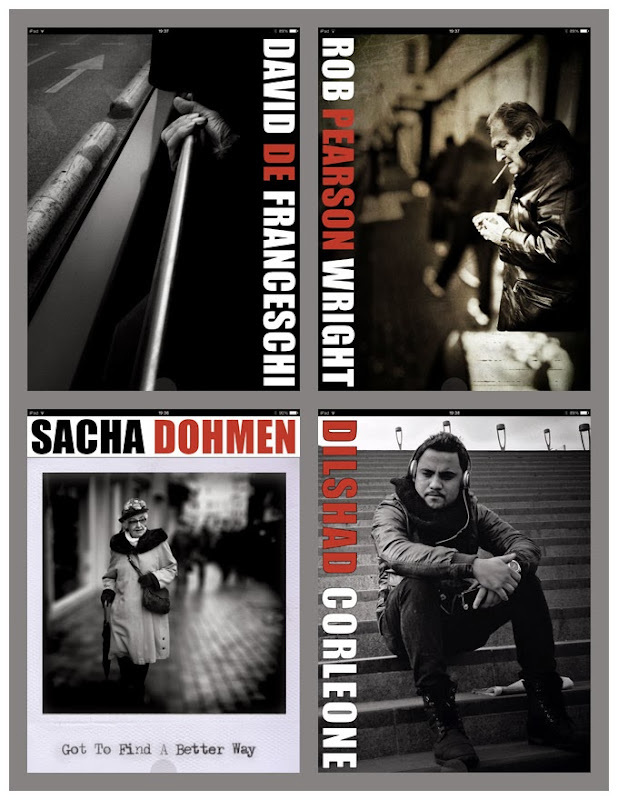 There is also a tutorial on post processing by Sasha Dohmen, an OlloClip review and an introduction to street photography by me. 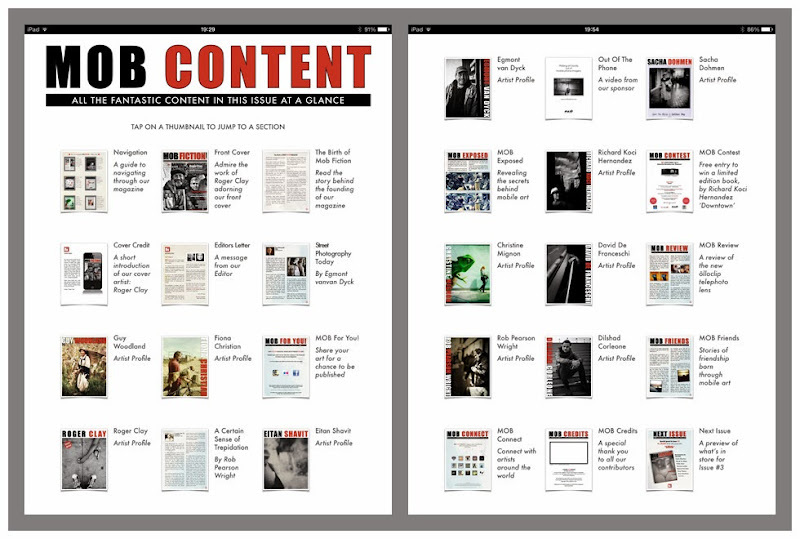 With the release of issue two, MOB Fiction is a magazine that is here to stay. Work on the next issue has begun and since it is all about portraiture, it will be featuring the sensational and controversial Dutch photographer, Lilith Love. 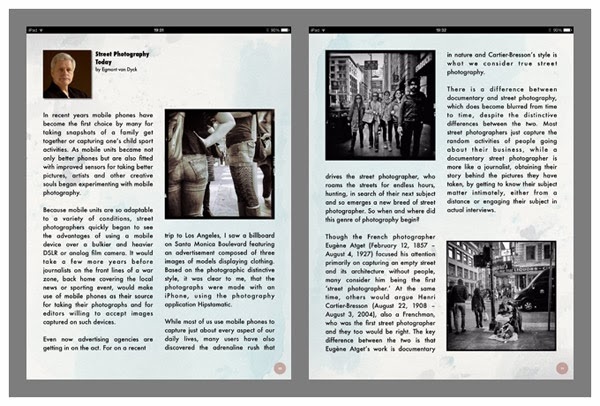 Should you not be convinced by my review that this is one issue you should not miss, you can always download a few sample pages for free. 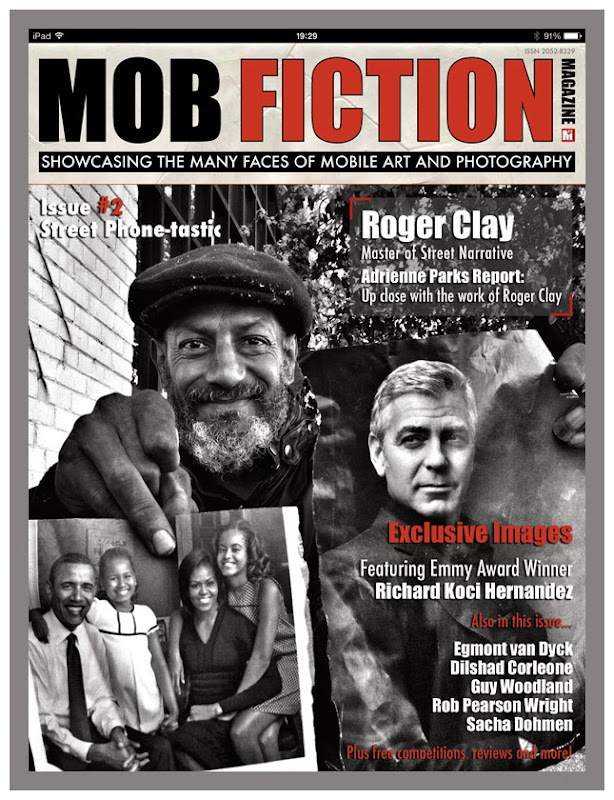 MOB Fiction Magazine - Street Photography issue can be purchased from iTunes by clicking here.